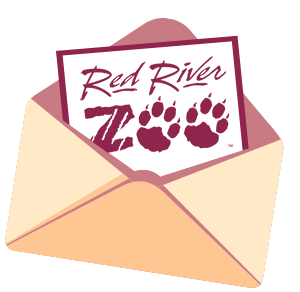 The Red River Zoo is proud to be accredited with the Association of Zoos and Aquariums. AZA is a non-profit organization dedicated to the advancement of zoos and aquariums in the areas of conservation, education, science, and recreation. AZA represents more than 200 institutions which meet the highest standards in animal care, provide a fun and educational family experience, and dedicate millions of dollars to scientific research, conservation, and education programs. Learn more about what it means to be accredited with the AZA. Our work with the Species Survival Plans for the Chinese Red Panda, White-naped Crane, Sichuan Takin, North American Porcupine, and Pallas’ Cats are made possible by our affiliation with AZA. You can learn more about conservation efforts at AZA and their S.A.F.E. (Saving Animals From Extinction) program by visiting the S.A.F.E. website.